If you are experiencing any type of tooth pain, now is the time for you to seek out care from a Rialto emergency dentist. Pain that you experience in your mouth is not fun and it will not simply just subside overnight. 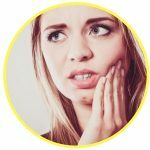 In fact, you will find that the pain gradually gets worse until you have your tooth pulled or the proper procedure performed on it. If you have tried to manage the pain on your own with no luck, you should call a local 24-hour emergency dentist. Below, you will find a list of local Rialto emergency dentists who are able to help you and provide you with the procedure you need. Best website for dental emergencies! It’s great they also have a phone service, the staff was great and helped me find a dentist quickly. If you have severe tooth pain, you have probably run into the predicament where you cannot find a dental office open later than 5:00 pm during the week. This is inconvenient for you, especially when you have to work until 5:00 pm as well. Fortunately, there are dental options available to you in Rialto, CA and you can get the care you need for your teeth. After hour dental clinics in Rialto are a good option and they are perfect for patients who need care, but simply cannot get to their traditional dentist by 5:00 pm. Most of these offices are open until about 6:30 pm and they even offer some Saturday hours for patient convenience as well. Patients who would best benefit from an after hour dental clinic are those patients who have minor to moderate dental problems. If you are gripping your mouth in pain, the last thing you are thinking about right now is spending a ridiculous amount of time online trying to locate an emergency dentist in Rialto. Take a moment to look at the list of emergency dentists below. Once you find one that is near you, simply give them a call, and schedule your urgent dental care appointment. 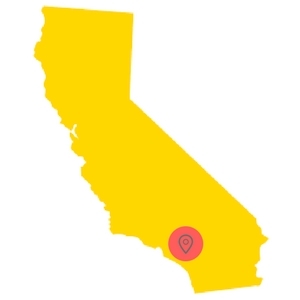 Description With just a simple call to our 100% free referral service, you can find the relief you need for aching teeth, broken crowns, or pediatric dental needs in Rialto, CA. Description: The staff at Western Dental is here for you for the various dental needs that you may encounter in the course of a day, or course of a week. They are open on Saturday from 8 AM until 4:30 PM and can assist with anything from root canal therapy on down to standard practices such as a dental cleaning. Come in today and see just how happy you’ll be after a thorough visit to Western Dental. Description: The staff here at Michael Alvarez’s office is friendly and experienced, and are even here on Saturdays to assist you. You can schedule for Saturday from 9 AM until 1 PM, and the rest of the week they are open from 9 AM until 5 PM. Don’t let aching, the need for an extraction or any other pain take over your weekend, and visit this excellent clinic in Rialto today. Description: Rancho Dental is the true home of the healthy smile, and you can find them here on Saturdays if your schedule is as hectic as many people’s are. They are here until 6:30 PM during the week, and pride themselves on being able to help you quickly and compassionately. Don’t let the sudden pain or need for attention get you out of commission this week, and come to Rancho Dental to meet the compassionate and caring staff. When you head into your local Rialto emergency dental office, you can expect the entire process to be similar to that of your general dentist. In fact, almost everything will be the same, except you may be visiting the emergency dentist at a different hour. When you call in to make an appointment, you should inquire about the price of services and all payment methods that are accepted. Some dental offices do not accept checks, while others may, so it is important to know this. If you are unsure of the procedure you need to have performed, inquire about the cost of some popular services. Once you arrive at the office, you will be asked to fill out paperwork. This paperwork will ask you for information about your medical and dental history. If you have dental insurance, now would be a good time to hand your card to the receptionist, so she can properly quote you for service. If you suffer from any allergies, you should include them on the paperwork and also alert the dentist ahead of time if you suffer from dental anxiety, as there may be some sedation options available for you to choose from. If you have tooth pain, you may have one of the many dental emergencies that can arise. Some dental emergencies happen overnight such as an abscess or a cracked tooth and others will develop for a while such as gum disease or tooth decay. No matter the type of emergency you have, your teeth should be looked at by a trained emergency dentist in Rialto. If you allow a dental problem to persist, it will continue to get worse and cause pain that may not be able to be stopped with local treatment such as a cold compress or over-the-counter medication. 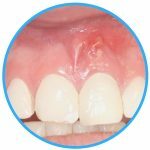 A dental abscess is an infection and considered to be a serious dental emergency. You should never try to pop an abscess on your own, as this can lead to the spread of the infection. If you are experiencing pain from the abscess, swish a warm saltwater solution around in your mouth, and then apply a cold compress to the exterior of the cheek where the abscess is. You can also take an over-the-counter pain medication to alleviate any discomfort you feel. 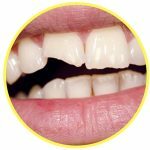 A crown can become lost at any point due to being knocked off of the tooth or trauma to the area. If your crown has fallen off, you should do your best to recover it. If the tooth is painful or causing discomfort, apply clove oil to it. If you have the crown in hand, apply a dental cement to the interior of it and place it back over your tooth. You do not want to force the crown on the tooth, so if it will not go, simply hold onto it until your dental appointment. A broken tooth can occur at any time from accident or trauma. If it does happen, it is important that you recover any of the pieces and save them. You should rinse out your mouth with warm water and avoid touching the area, as you may cause yourself more pain. If the area is bleeding, you can apply pressure with a piece of moist gauze for 10 to 15 minutes. You should also apply a cold compress to the exterior site where the trauma occurred to reduce swelling. Emergency tooth extractions are sometimes needed when you visit your local Rialto emergency dentist. Most dentists, emergency included, will provide you with alternatives to save the tooth first such as a crown or a filling. When these additional measures will not work, a tooth extraction is generally needed and recommended. If your dentist has told you that you need to have your tooth extracted, it is a good idea to have the procedure performed and not delay. A delay in treatment can lead to serious complications, especially when it comes to tooth decay or an infection. Once you have had an emergency tooth extraction, you will need to follow the aftercare instructions provided to you by your dentist and also take any prescribed medications. Typical recovery time is only a day or two for most patients. If you have severe dental pain in Rialto, it is important that you seek out treatment for that pain. Many people think that they need to head to their local emergency room at the onset of a dental emergency, but this may not be the best place for you to go. The reason behind this is because the ER is set up to handle medical emergencies and not dental emergencies, which means that the ER cannot perform the dental procedure you need. However, if you do go to the ER, they will look at your tooth and mouth to make sure that you do not have a life-threatening condition. In some cases, the ER doctor may prescribe you some pain relievers until you can see your dentist. There are some cases where you should head to the local ER, tooth pain or not. Those times include whenever you are involved in an accident, break your jaw, or have head trauma. When you suffer from dental pain, the best place for you to go is to a local Rialto emergency dentist. Emergency dentists have the tools and equipment needed to perform the proper procedures to alleviate your pain and prevent the spread of infection. If you have a dental emergency, you should look for an emergency dentist in Rialto. If you are unable to find one, you should visit your local emergency room or call 911 for immediate care. The Emergency Dentists USA portal is a website that is intended to be used only as a source of information and should not be used to replace the advice of a medical professional. We do recommend that before you head into a new dentist’s office, that you check their licenses and certifications to ensure their credentials check out. You can do this by checking with the Dental Board of California and the California Department of Consumer Affairs.